The decision that every filmmaker has wrestled with: Should I buy gear or try building it myself. 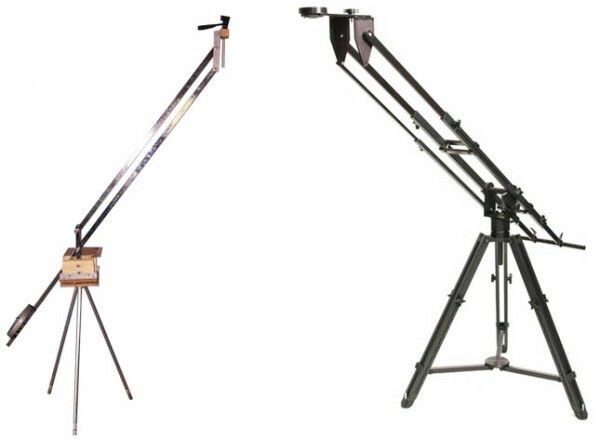 Whether it’s a camera rig, dolly, jib…the choice is always looming in your mind. I’ve gone down both roads…starting off by building my own jib and a few years later purchasing a Kessler Crane kit (which to date has been my largest camera gear investment). Your budget will drive the largest part of the decision making process. If you don’t have the cash, you can’t buy it! But you may have the option to save your pennies up for the gear of your dreams. Either way you need to decide how far your funds can go. The old saying still holds true: Buy cheap, buy twice. Buy good, buy once. Time is one of the biggest factors for my decision to purchase real camera gear. When you have DIY camera gear being held together by duct tape, drywall screws, 2x4s and PVC pipe, the reliability of the gear is in question. Setup and take down usually takes longer. Possibility of damage is always around. But most importantly, DIY gear has a certain level of uncertainty for whether you will be able to “get the shot”. What I mean is, when you are doing a shot with DIY gear, there may be unexpected wobbling or you may have a hard time getting a smooth, clean shot. Also the odds of repeating a shot perfectly are even less. Simply what it boils down to is: If you have more time than money, DIY may be the best option. If not, invest in quality gear. As conceited as it may seem, the way you look on set is important. If you are trying to be a professional filmmaker or video producer and you show up with some plywood, roller skate wheels and PVC pipe, your client may get a little worried. That isn’t to say that there is no place for that. If you are shooting a low cost video and you already have a relationship with your client, they may understand that they are saving money by you using DIY gear. But if the client is paying hundreds and thousands of dollars for a high quality production, don’t think you’ll get called back for a second job if you roll in with your latest hardware store creation. I use both, but anything that looks unprofessional doesn’t ever come with me on a shoot. There are still some DIYs that I have that I prefer to store items and that I still use regularly. But while you’re building up to that DIY projects are great.